I made boozy snow cones for the first time on Saturday. My friends and I went to Palm Springs for a girls weekend, and these were the perfect poolside drinks. She then proceeded to drink two more and was conked out for an afternoon nap by 4pm. 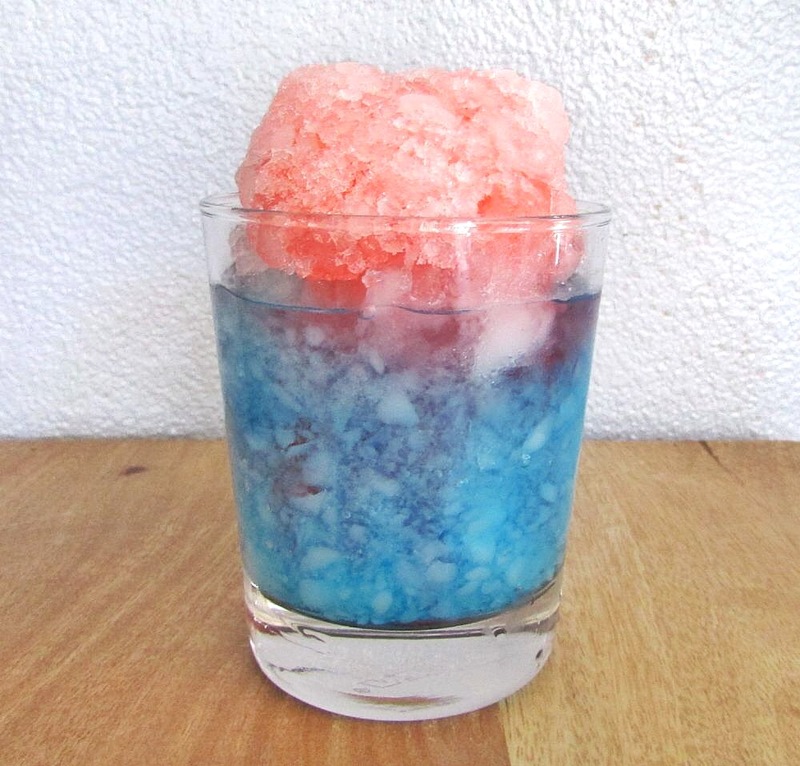 And since they’re red, white and blue, they also make a great July 4th cocktail! 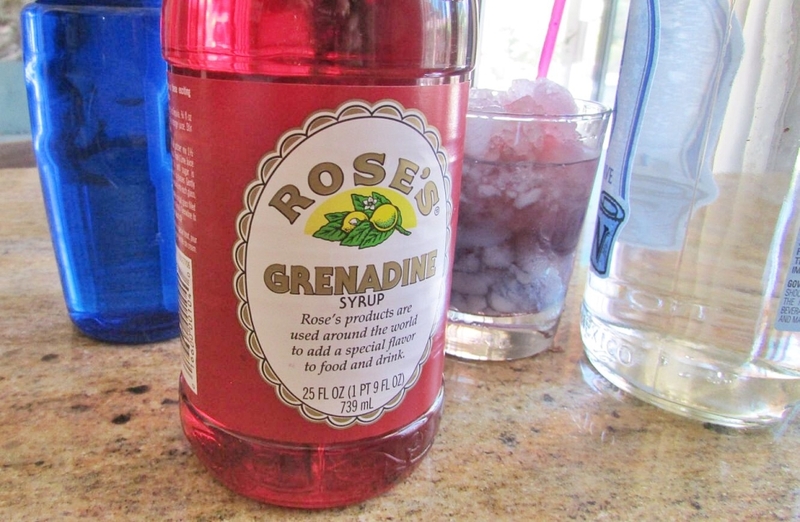 For a healthier option, you can use my homemade grenadine syrup recipe. Unfortunately, there are no fruits that turn blue to substitute for the Blue Curacao (blueberries actually turn purple when you boil them.) But if you want to omit the Curacao and don’t mind a purple tint, you can boil a package of blueberries in 2 cups of water, strain the water, then add a squeeze of fresh orange juice for citrus flavor splash. In a glass, combine one shot of vodka with Blue Curacao and stir. In a separate glass, combine one shot of vodka with grenadine syrup and stir. Blend ice in a blender until ice is crushed and has a slushy texture. Pour the Blue Curacao vodka mix into a glass, then scoop a large spoonful of crushed ice on top of it. Scoop one more large spoonful of ice on top and pour the grenadine mixture over the top.